Is not too late sharing our idea about how we support our kid with useful knowledge like Biology science. Kids known as young generation that have great curiosity about their self, environment, animals, and everything about lifes. 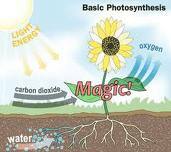 The biology as a basic science provide such information about plants, animals, environment, and lifes. The biology curriculum normaly provide in elementary school. But it was not wrong if we preparing them earlier for catch anything about plants, animals, environment, and lifes in specific term that suitable with their mind. The learning model absolutely different whit normal education. It should be like game, play with fun, drawing, watch the movie, stories about biology and everything about life science but in Kid sense. The learning activities not only happen in class or in school, but parents also play the main role for their kids knowledge. The house should be a perfect place for kid learn, and become a firts school for them before the day begin. The materi content suggest not very difficult to absorb by the kid. For example we can introduce them about animal family, animal infant, fruits, with colorful picture or animation. Surely they could learn more fast if we provide the material in colorful, funny, and simple.